A senior couple in Boynton Beach just wanted their home repaired after they reported a water damage insurance claim. The Florida Insurance Company had sent out their preferred vendor to dry out the water from the couple’s home, and they had sent out their kitchen repair company to present a repair bid to the insurance company. The couple was referred to Advocate Claim Public Adjusters, but they were not sure if they should retain a public adjuster’s services at the start of their insurance claim, or after they tried to work with their insurance company themselves. We told them that it was their choice, but we would help them no matter what they decided to do? We also told them that if they had a dispute with their insurance company the claim would take longer to settle than if they hired us at the beginning of the claim. Eventually, they decided to wait and see what happens? After about two months they finally received an estimate from their Florida insurance company to review along with a settlement check! The nice elderly couple called us and told us that they were not very happy with their insurance company’s offer of settlement. They did not think that they could repair their home for what they were paid? Consequently, they wanted me to come look at their home? We went to their Boynton Beach home and reviewed the insurance companies estimate? 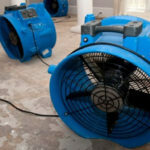 We found many items that were either underpaid or missing from the estimate of damages. The Florida insurance company said that they could repair the kitchen with granite counter tops for $5,500! Anyone who has bought a kitchen will understand that this is a ridiculous price. While inspecting the damage we noticed there were three areas of cracked floor tiles. 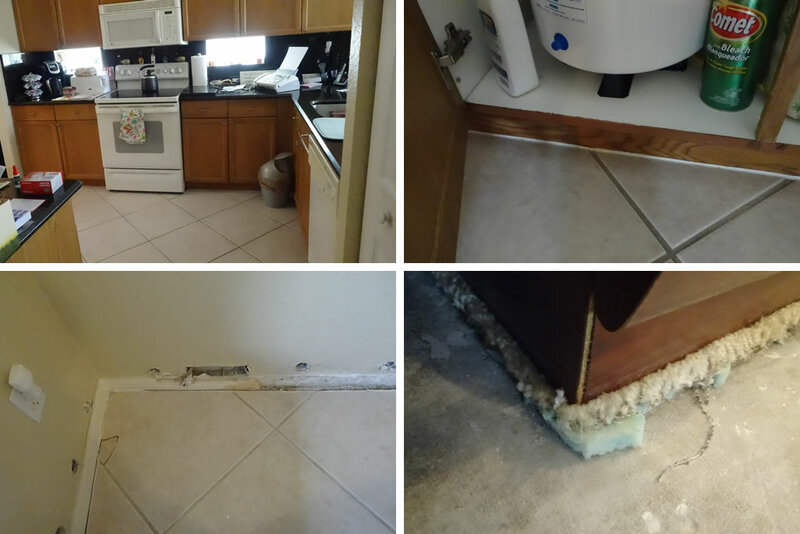 We asked them if it was broken before they had this insurance claim, but they told me that the emergency restoration company, sent out by their insurance company to do the dry out, had broken the floor tiles while they were pulling up the baseboard! We also noticed that there was a missing piece of engineered wood flooring right in the middle of the entry of the master bedroom! The hole in the floor was left uncovered by the same dry out company. The policyholder is 80 years old and his wife is 75 years old, and in our opinion their Florida insurance company preferred vendor did not do a very good job protecting the health and safety of this couple! The insurance company’s total estimate was for approximately $13,000 to repair damaged walls in the breakfast area, damaged walls in their entry and hallway, damaged walls in their laundry room, damaged carpeting and walls in the front bedroom, and to repair their kitchen too! We went to work measuring and photographing the loss and then wrote an estimate of approximately $65,000, far different than the insurance carrier’s estimate of damages! We spent another two months trying to get this Florida insurance company to be reasonable and pay the claim! 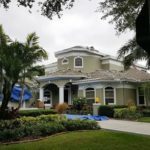 The insurance company wanted the same company that caused more damage to this couples home to re-inspect the damage, and write an estimate for the repairs for the insurance company. This is after both the insurance company and the emergency restoration company refused to accept responsibility for the damages they created! Time was up, the insurance company had my estimate and now had their own estimate done. Again, the Florida insurance company did not want to play fair and settle this claim properly. 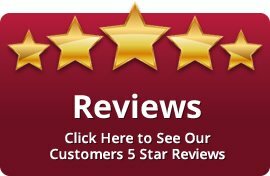 Our clients took our suggestion and hired a good lawyer. They did not give up on their insurance claim! To finish this all too common tale at least we have a happy ending. The lawyers were able to get this couple over $70,000 to repair their home!